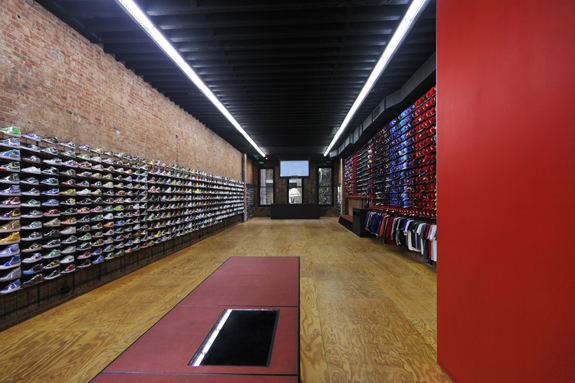 Flight Club is regarded as a Mecca for sneaker collectors and urban fashionistas around the world. 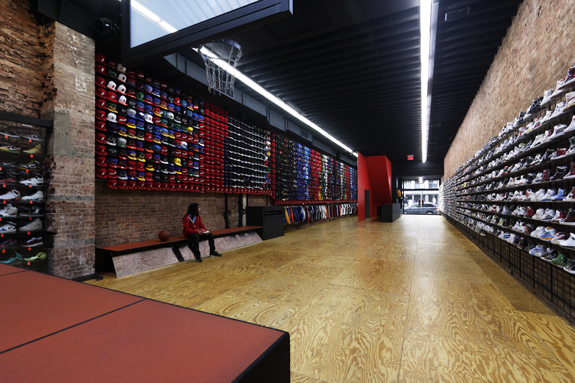 Flight Club opened their largest location with an inventory of the hottest and rarest sneakers anywhere. 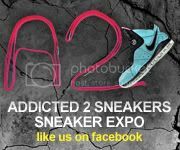 You may even consider it a sneaker museum with over 1300 sneakers on one wall, making it one of the biggest sneakerwalls in the world. 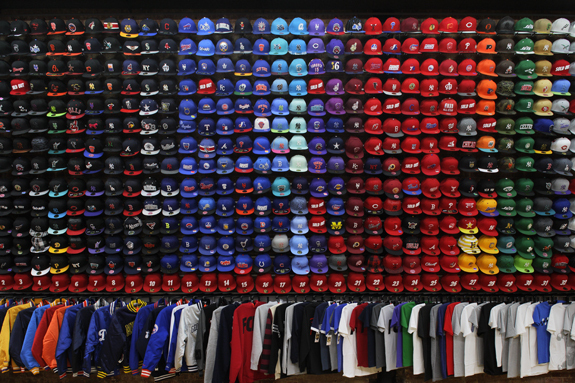 Opposite the sneakers are a selection of 645 hats, potentially one of the biggest hat walls in the world. See photos after jump. 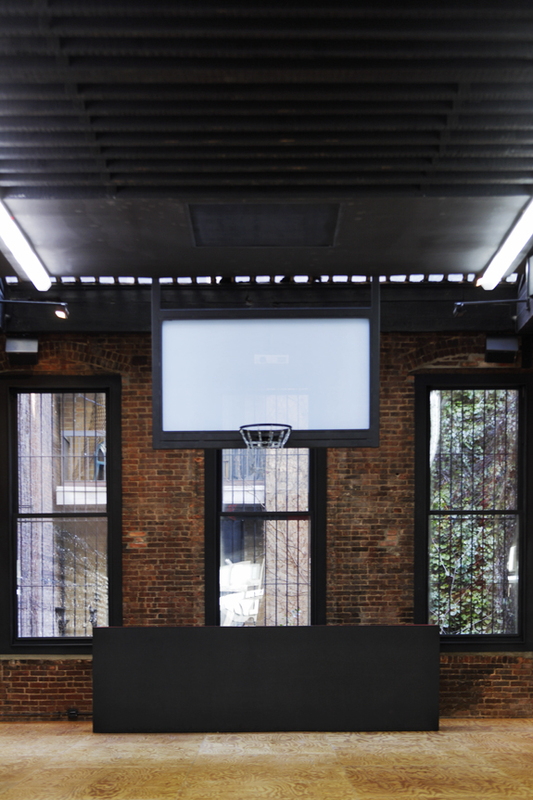 Slade Architecture was the architecture firm that was behind this awesome project. 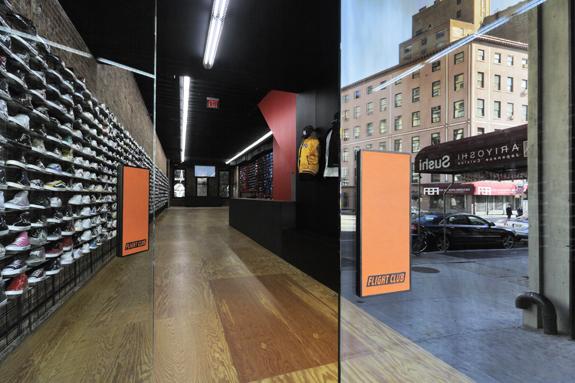 Their goal was to create a clean, authentic urban space within the existing shell of the building. We also wanted to reference urban recreational spaces like basketball courts, handball courts, and playgrounds as well as the urban spaces that skaters, bikers, stickballers and others appropriate for recreation and sports.